KEM Arrow is the most representative deck of KEM brand. 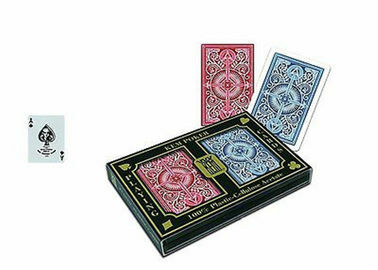 Made of a unique blend of paper and plastic that provides superior flexibility and strength for long-lasting use, cards of this deck are virtually impossible to dent or crimp. They can handle the wear and tear of normal games, outlasting paper cards up to 500 times. There is no need for you to worry about soiled cards since a quick wipe with a damp washcloth is enough to make them look brand new. 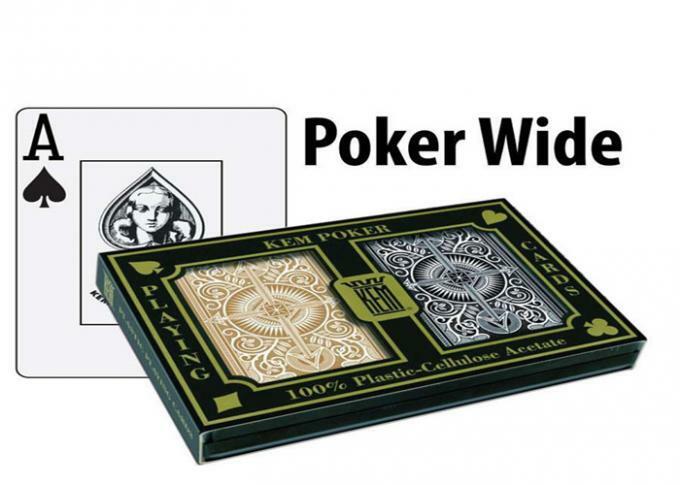 We normally use poker printer and invisible ink(IR ink, UV ink, luminous ink or laser ink)to make two types of KEM Arrow marked decks: KEM Arrow back marked decks and KEM Arrow barcode marked decks. The former has the invisible marks printed on card backs, while the latter has the invisible marks printed along card edges. 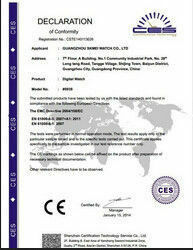 All the marks can stay unfading as long as 2 years! There is nearly no chromatic aberration between our marked decks and their original decks. 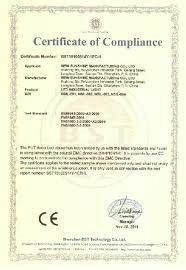 Besides, we can also make the marks according to your reasonable requirements. The back marks can be clearly seen by wearing our poker perspective glasses, while the edge marks can be clearly seen on poker analyzer screen after being read by our poker scanner. Not only can our company provide you with the marked decks of our own, like KEM Arrow marked decks, but also we can process your regular card decks into marked decks. If you want so, welcome to your card decks to us!